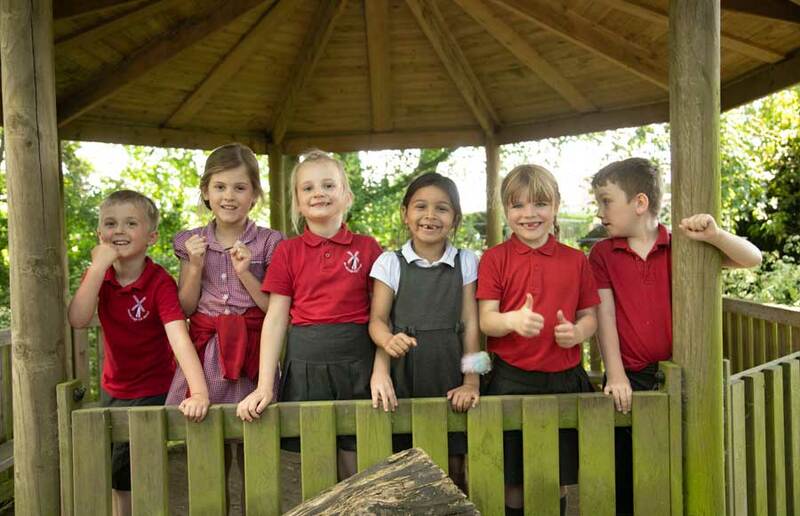 Children at North Leigh Primary School wear their uniform with a great sense of pride. In Summer children may opt to wear grey tailored shorts or a red checked school dress and black red or white closed sandals may be worn. We recognise that uniform can be a real expense for parents, and there is no obligation for children to wear uniform with the embroidered school logo, but all items should be in the correct school colours. In line with Health and Safety recommendations we do not allow children to wear jewellery during PE (including ear-rings). Only stud ear-rings and watches may be worn at other times. If wearing jewellery is a necessary obedience to a religious belief, please see the Headteacher. No make-up or nail polish is allowed. Hair should be natural colour. Long hair should be tied back at all times. Please send your child's PE kit to school in a draw-string bag as these help to keep congestion in cloak room areas to a minimum. Local pool regulations require all children to wear a swimming hat during their swimming lessons. These may be purchased from the school office. Appropriate swimming costumes should be worn so it is easier to swim - for example knee-length baggy shorts and bikinis are not suitable. Please ensure that all Uniform and clothing items are labelled. This makes it much easier to reunite children and lost items.